In 2016, the Legislature created a $250 refundable income tax credit for volunteer emergency responders, rescue squad members and firefighters who serve a city, village or rural or suburban fire protection district. A point system determines annual qualifications for the credit. Sen. Dan Hughes of Venango, sponsor of LB760, said the 2016 bill inadvertently left out county volunteers. LB760 would include those volunteers and provide retroactive eligibility for 2016 and 2017 for those who meet the criteria. Hughes said a wind-driven fire that forced evacuations in McCook last week underscored the importance of volunteer emergency responders. Nineteen volunteer fire departments assisted the city’s fire department, he said, helping to avert a disaster. A county board could approve and certify a list of qualifying volunteers for 2016 and 2017 no later than 30 days after the effective date of the bill. Volunteers who met the requirements for both years would be eligible for the tax credit for the 2017 tax year. 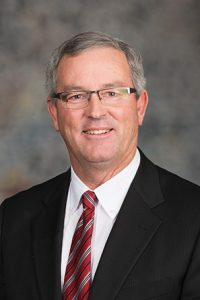 Sen. Mark Kolterman of Seward supported the bill, saying that rural Nebraska communities are having an increasingly hard time finding volunteers to fight fires and respond to emergencies. “Anything we can do to encourage that is beneficial,” he said. Senators voted 33-0 to advance the bill to select file.